For veteran and new teachers alike, the thought of starting at a new school can be daunting! Each school has their own procedures for attendance, technology, grading, discipline, teacher duties, and the list goes on and on! 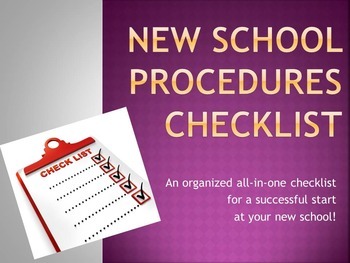 This all-in-one checklist by Words With Woj will help keep you organized as you become familiar with new procedures and prepare for a successful start at your new school!